Lockout/Tagout (LOTO) is a necessary part of working in industrial settings. These practices are required to protect everyone who works with and around potentially dangerous equipment. For that reason, it is important that training takes place for employees authorized to carry out LOTO procedures as well as employees who will be affected by the use of these practices. But we can break down the importance of LOTO training beyond general safety and into five categories of crucial importance. While you are running through training, the team effort allows for all the relevant parties to assess any potential issues with the equipment. It is always a good idea to know what problems you are likely to face when working with machinery, so training can be a perfect time troubleshoot your technology while using the LOTO procedure. As LOTO is about reducing the risks of hazardous energy, it is helpful to know how equipment is working. Going through the process of demonstrating a LOTO procedure makes you stop and focus. With a more meticulous training assessment where other people are looking on with authorized employees, it can be easier to identify issues. Even with proper shut off procedures, hazards can still crop up when equipment is malfunctioning. You could also have broken LOTO devices causing issues. Training directs focus, and with that, you can anticipate hazards from damaged or improperly functioning equipment. It is easy to take it for granted that employees will know the right way to use LOTO devices, but when it comes to safety, you never want to rely on assumptions. The best way to know that everyone using the tags and locks correctly is to train everyone on the usage. Not only how things are meant to affix to equipment and machinery but also the mistakes that can be made. Everyone who is trying to follow the rules thinks they are following the rules. Training allows everyone to check up on one another. This is also very important for getting workers familiar with common misconceptions about the devices. How tags can fall off and the devices that require group lockouts. There may also be certain equipment that is rarely used, so training might be the only opportunity to practice procedure with it before use becomes a necessity. With everyone trained on the expectations and usage of lockout/tagout practices, there will be more people that can tell when something's not right. A team is only as strong as its weakest link, and sometimes that link can be higher up in the chain. Because daily operations will limit the use of LOTO procedures to authorized workers, training might be the only opportunity affected workers will get to become familiar with the protocols being used for their benefit. 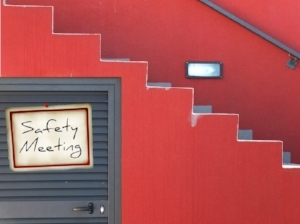 Safety meetings can be significantly improved by having more employees be knowledgeable about the safety expectations of their peers and their superiors. More people can have something to say about the way procedures are being used and feel more involved and invested in these meetings. Training in this way creates safety nets for human error. Expecting perfection is a great way to keep yourself blind to problems. Anticipate the need for universal oversight, and if the authorized users never have an issue, you can have that fact corroborated throughout the chain of command. Anything can seem complicated if you have no experience with it. What training does is demystify the procedures. It allows for questions to be asked and mistakes to be made when they will not be harmful or lead to a tremendous disaster. But along with making those using the LOTO procedures comfortable with using them, it can also make supervisors or at ease about inspections and general safety. LOTO inspections should take place once a year, and when training has not taken place effectively, everyone can be rather hesitant or stressed out about the processes. Instead of waiting for an assessment to tell you that mistakes have been made consistently or processes have been misunderstood, training can sort these issues out to avoid any type of post or pre-assessment unpleasantness. Training with safety gets everyone thinking about safety. While training with LOTO procedures you might find that you are unwittingly violating an OSHA requirement. Going around to simulate a practice LOTO inspection can double as a general practice safety inspection. Practice serves as a great reminder of what is expected in terms of safety. You can also use training to find out what types of issues crew members are having when they use LOTO devices or procedures. If there is an issue with keys breaking off in locks, slowing down padlock removal or generally creating the problem of constantly replacing lockout equipment, you can work out procedures for when existing procedures go awry. Tags could be falling off all the time and require the use of secondary securing. Whatever the issue is with the plans you have, you can find them by training. Always know what your intentions are when you undergo any type of security training. Don’t expect to get this type of information or these results without demonstrating your desire to get them. Training is also going to make you more effective at training. The more you do something, the better you will be at it. Weeklysafety.com gives your company access to hundreds of safety meeting topics and toolbox talks, safety resources you won't find anywhere else, safety topics professionally translated into Spanish, and so much more. 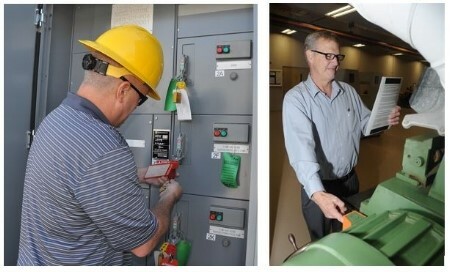 This includes a safety meeting topic on Lockout/Tagout in both English & Spanish. Two versions are available with your membership including a 6-page Manager’s Presentation and a 2-page Foreman’s Topic. Hosting a safety meeting on Lockout/Tagout procedures is an excellent way to get the word out to employees about your LOTO process and expectations. This article was written by our guest contributor, Ralph Goodman, security expert and lead writer for the Lock Blog, the #1 locksmith blog on the Internet. The Lock Blog is a great resource to learn about locks, safety, and security. They offer tips, advice and how-to’s for consumers, homeowners, locksmiths, and security professionals. Ralph has been featured widely throughout the web on sites such as Business Insider, Zillow, Bluetooth, Apartments.com, CIO, and Safewise.